The AL Special fountain pen is another unique offering in Kaweco’s lineup. Kaweco are known for interesting design and styling and have made another pen that is attractive yet functional. From the small but mighty Liliput to the large heavy Supra and everything in between, Kaweco never fails to please. The AL Special is no exception. We recently acquired this pen for our Kaweco collection along with the brass version. 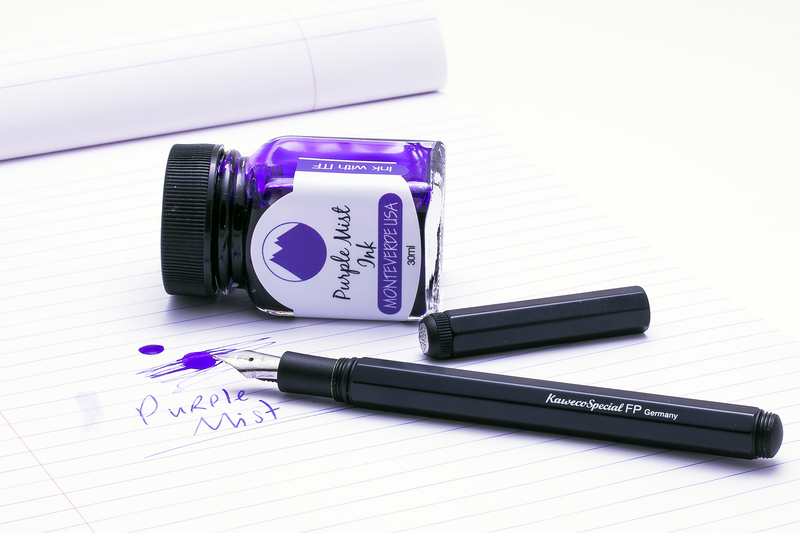 I chose to load the AL Special with Monteverde’s Purple Mist and have it on hand at Toronto Scriptus 2018. The first thing to mention about fountain pens from Kaweco is that their nibs are made by Bock. Bock manufacture some of the best nibs in the world, but Kaweco nibs do sometimes give people problems straight out of the box. I generally recommend a flush with a drop of washing up liquid in a cup of lukewarm water before you ink it up. The nib performed as expected for a Kaweco. Solid and reliable. Kaweco’s clever replacement nib mechanism allows you to swap out their standard nib for another very easily. Try the 14 karet gold nib if you want one that performs extraordinarily. The AL Special is a similar length to most full-sized pens. It’s a nice break from Kaweco Sport or Lilliput where the tradition is to have a pen that is smaller than small. The AL Special comes in black anodized aluminum and is an extremely attractive fountain pen. 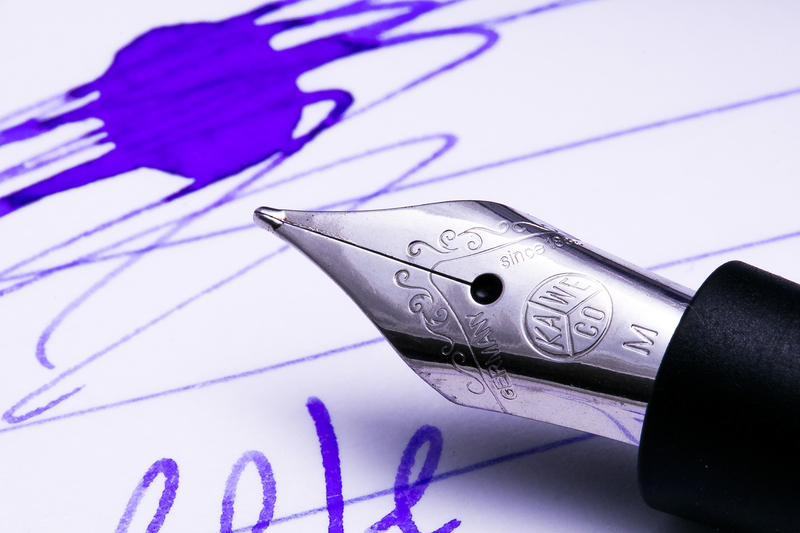 The barrel of the pen is octagonal and sits nicely in the hand. The clip system is the same as with other Kaweco pens. You must buy the clip separately and slip over the top of the pen. Because the pen is slim, you can’t use a Sport clip. Make sure you purchase the clip specifically sized for the Special. The cap screws on nicely and is held in place very well. There is a sponginess to the fitting thanks to a plastic grommet that stops the cap from unscrewing itself. The cap also screws onto the top of the pen allowing you to post it. Doing so makes the pen almost too long to use comfortably. Although the pen barrel is aluminum, the nib section is made of plastic. But don’t let this put you off. It feels great to the touch and gives you a good grip, stopping any unfortunate slippage. 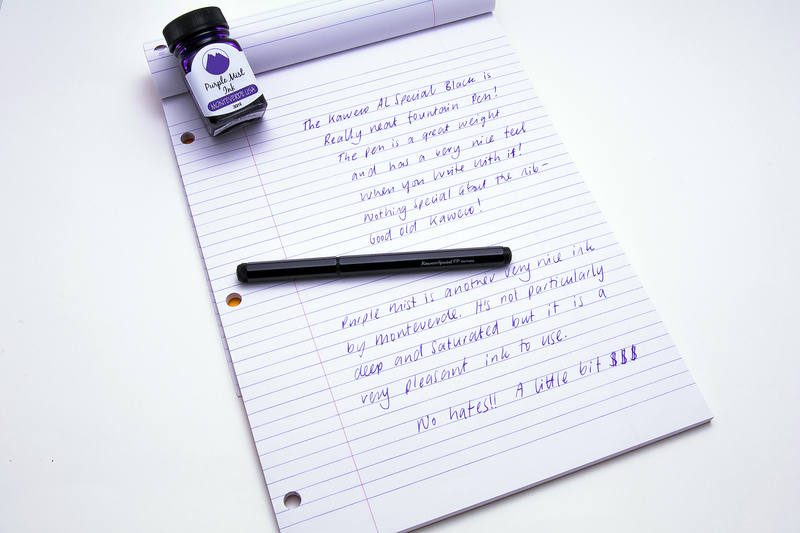 The AL Special take International Standard cartridges but also supports a full-sized converter allowing you to use bottled ink. This pen is a winner for me! I love the simple styling, the fact that it is a full sized fountain pen, and I do like the cap. The plastic nib section is also a winner for me as in my mind it helps improve the writing experience! Kaweco AL Special, Black: $140 CAD. Rhodia A5 Dot Pad: $6.95 CAD. 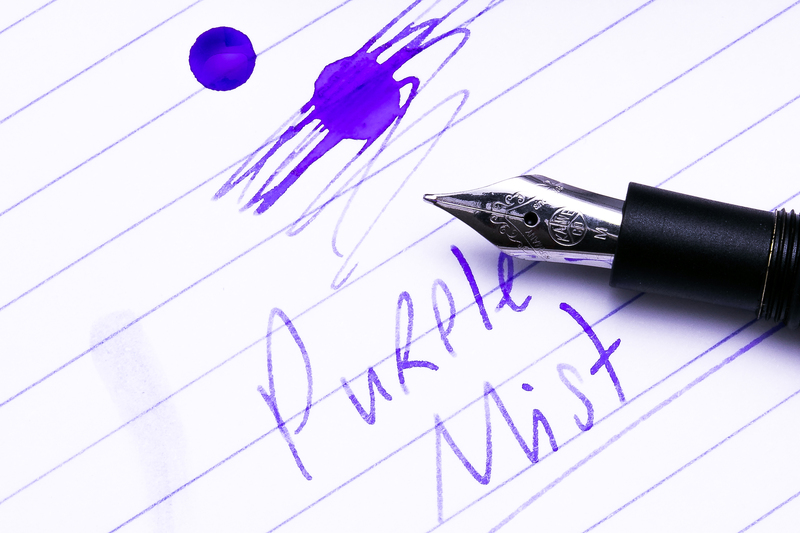 Monteverde Purple Mist: $12.50 CAD.